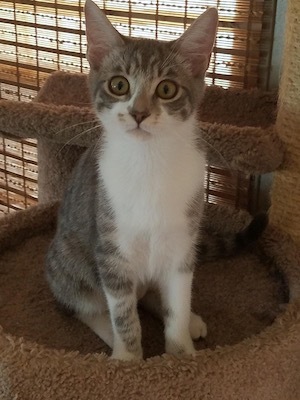 Brie is a 5 month old Domestic Short Hair. She is super sweet, loving and social. She has a soft, short coat. She came in with her sister, Feta. They do not need to be adopted together. Brie is looking for a loving home.